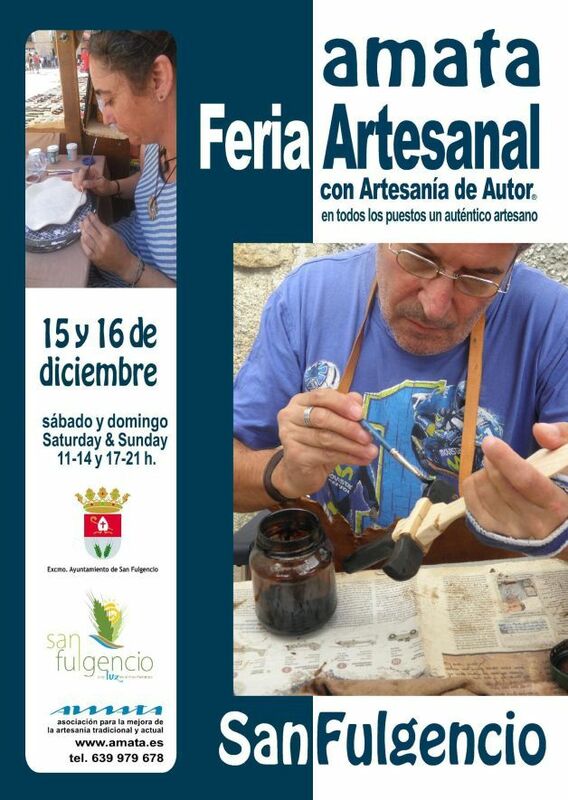 On 15 and 16 December Amata comes to San Fulgencio to set up a genuine Craft Fair in the square in front of the Town Hall. That means that people living in the south of the province of Alicante get a chance to buy original, hand made presents for Christmas. Real craftwork, made by freal craftsmen and women living in Spain. Amata specializes in original craft work. 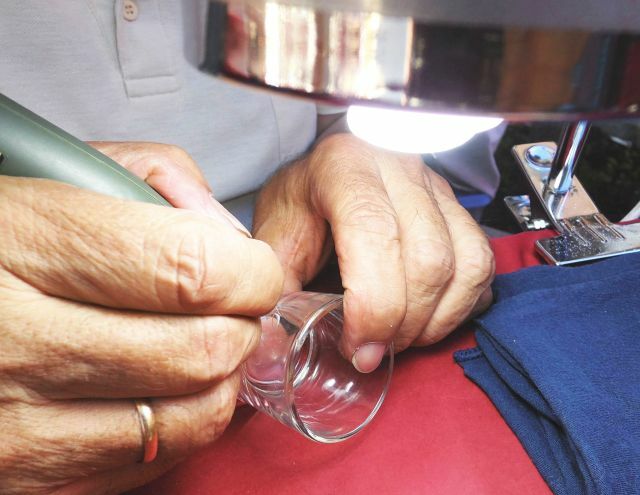 They don’t admit cheap imports or factory made products: everything must be hand made by the participants them selves. 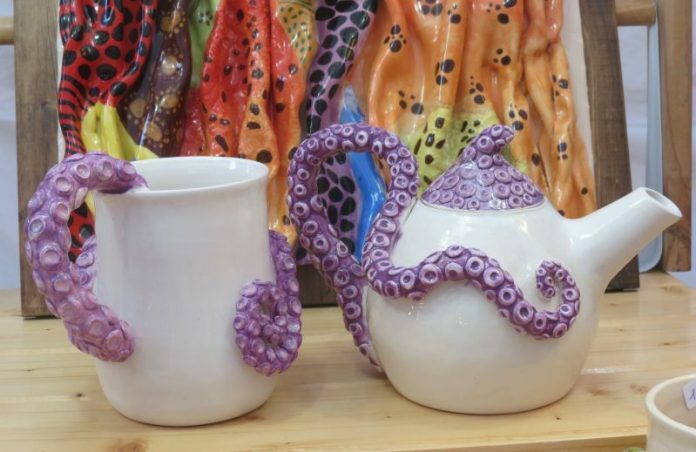 And not only that: the organizers also make sure that every stall offers something different, so that you can find orginal presents for all your loved ones. There are funny figures of professions and hobbies, made of acorns; hand woven shawls and vests; colourful boots and shoes for children and adults; ceramics; patchwork; crocheted cuddly toys; small pieces of furniture and decoration made from recycled wood; hand painted bags and rucksacks; glass engraved on the spot with names, initials or a drawing and, of course, a few stalls with design jewelry in different materials. And, as all participants are real craft people, most of them bring their tools along so they can take special orders if you don’t find what you are looking for. In fact, over the last few years, less and less authentic hand crafted goods are offered on street markets, even if they announce loudly that there will be “artesanía”. That’s why Amata uses the words “Artesanía de Autor® ” (craft direct from the author) so there should be no doubt about the authenticity. So, this time in San Fulgencio, like in all fairs of Amata, you can see real craftsmen and women at work: the weaver at her loom, the potter at his wheel, offering you the possibility to turn your own little bowl or cup. Others will be modelling clay, cutting leather to make shoes or polisshing metal for jewelry. There will be soft background music and the stalls will be decorated to create the right atmosphere for Christmas; the children can make their own presents in one of the workshops, there are traditional table games and an old fashioned merry-go-round, in short: all is done to keep the children busy while the parents go around the stalls or have a drink at the local bar. The fair is set up in the Plaza de la Constitución, the square in front of the Town Hall. As more people live in nearby estates than in the village itself, there will be a special bus service at regular intervals running from the Urbanización Marina to the fair – both to encourage people to come to the fair and to minimize the parking problem! Both Saturday 15 and Sunday 16 December the fair opens at 11 am, on Saturday it closes about 9 pm, but on Sunday a bit earlier. The stalls will stay open at lunchtime. For more information about the fair you can ring the organizers at 639 979 678 – they speak English. Information about the bus service is available at the Town Hall – tel. 966 794 201. There is a page called Amigos de Amata in Facebook to promote the fairs and for last minute notices.